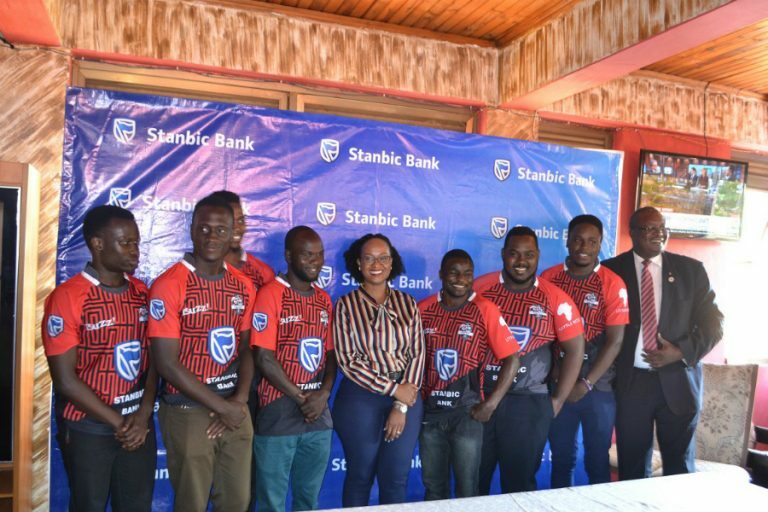 KAMPALA – On Monday, National Rugby Premiership defending champions-Black Pirates, unveiled a new partner on board and a new jersey during a press briefing at Little Ritz. The new partner is banking heavyweights Stanbic Bank who agreed a three year deal with Pirates worth 150 million. “I cannot express how proud we are to sponsor the Black Pirates, said Sonia Karamagi, Stanbic Bank Senior Marketing manager. “We have seen this team grow through the ranks, they have been on the rise since 2015. The partnership runs from September 2018 to September 2021 and the money is going towards meeting the running costs of the team like allowances, medical, utilities and some of it towards the support of those that are still in school. “We have committed 50 million Uganda shillings every year and the sponsorship is going to run for three years, Karamagi continued. “Our support goes towards uplifting the youth and we know that the average age of the players is 24 years. Pirates Chairman Edmond Owor also noted that the partnership can only take them higher following last season’s success. “Our trajectory over the past four years has been nothing short of phenomenal culminating in winning the 2017-18 league, and a clean sweep of all available local honours, said Owori. “This sponsorship from Stanbic will go a long way in ensuring our performance continues to shine in leaps and bounds. Black Pirates got off to a winning start for the new season with a win over Walukuba Barbarians on Saturday. In their next league game, Pirates will take on Rhinos this Friday.